While every reasonable attempt has been made to check on the authenticity of the listing and pricing information provided by LuxuryRentalsManhattan.com, we cannot guarantee that the information provided is without error. LuxuryRentalsManhattan.com is strictly for information purposes only and in no way does it hold itself out to the public as a licensed real estate broker or a representative of the buildings, apartments and/or information provided in relation to the content and affiliates of LuxuryRentalsManhattan.com. Therefore, anyone wishing to use the information found herein is encouraged to contact an affiliated real estate broker of LuxuryRentalsManhattan.com and schedule an appointment to review and verify property information. All square footage, pricing and dimensions are approximate. Exact dimensions can be obtained by retaining the services of a professional architect or engineer. LuxuryRentalsManhattan.com LLC cannot be held liable for any actions taken, either wholly or in part, based on the information provided on our website. Furthermore, LuxuryRentalsManhattan.com LLC shall not be held responsible for any loss, damage or destruction resulting from using LuxuryRentalsManhattan.com. IN NO EVENT WILL LUXURYRENTALSMANHATTAN.COM LLC BE LIABLE TO ANY PARTY FOR ANY DIRECT, INDIRECT, SPECIAL OR OTHER CONSEQUENTIAL DAMAGES FOR ANY USE OF THIS WEB SITE, OR ON ANY OTHER HYPER LINKED WEB SITE, INCLUDING, WITHOUT LIMITATION, ANY LOST PROFITS, BUSINESS INTERRUPTION, LOSS OF PROGRAMS OR OTHER DATA ON YOUR INFORMATION HANDLING SYSTEM OR OTHERWISE, EVEN IF WE ARE EXPRESSLY ADVISED OF THE POSSIBILITY OF SUCH DAMAGES. ALL INFORMATION IS PROVIDED BY LUXURYRENTALSMANHATTAN.COM ON AN "AS IS" BASIS ONLY. WE PROVIDE NO REPRESENTATIONS AND WARRANTIES, EXPRESS OR IMPLIED, INCLUDING THE IMPLIED WARRANTIES OF FITNESS FOR A PARTICULAR PURPOSE, MERCHANTABILITY AND NONINFRINGEMENT. Membership on the Site is free. Upon registration, you will be required to create a user name and password. You are responsible for all activities that occur under your user name. You are responsible for maintaining the security and confidentiality of your user name and password. It is your responsibility to notify us immediately of any unauthorized use of your user name or password and you will be liable for any unauthorized use of the Site or the Services including, without limitation, any direct, indirect, or actual damages. You agree not to submit, as part of your use of the Site or the Services, any material that is illegal, misleading, defamatory, indecent or obscene, in poor taste, threatening, infringing of any third party proprietary rights, invasive of personal privacy, or otherwise objectionable. You may not use the Site or the Services for any purpose that is prohibited by any law or regulation, or to facilitate the violation of any law or regulation. You may not use the Site, the Services or any Content to compete in any manner with LuxuryRentalsManhattan.com. You may not attempt to use any "deep-link," "scraper," "robot," "bot," "spider," "data mining," "computer code" or any other automated device, program, tool, algorithm, process or methodology or manual process having similar processes or functionality, to access, acquire, copy, or monitor any portion of the Site, the Services or any Content. In using the Site and/or the Services, you may obtain direct access or otherwise be exposed to certain confidential information of LuxuryRentalsManhattan.com and its affiliates, employees, advisors and/or consultants including, without limitation technical, marketing and/or other information that should reasonably be understood as confidential ("Confidential Information"). You must hold Confidential Information in strict confidence. Without limitation of the foregoing, Confidential Information remains the sole and exclusive property of LuxuryRentalsManhattan.com and its affiliates, employees, advisors and/or consultants. Confidential Information does not include information that you can establish by legally sufficient means: you possessed prior to your receipt from us, without an obligation to maintain its confidentiality; is or becomes generally known to the public through no act or omission by you, or otherwise without violation of this Agreement; you obtained from a third party who had the right to disclose it, without an obligation to keep such information confidential; you independently developed without the use of Confidential Information; or in response to a valid order by a court or other governmental body, as otherwise required by law and as disclosed after prior notice to us adequate to afford us the opportunity to object to such disclosure. It is the policy of Luxury Rentals Manhattan (luxuryrentalsmanhattan.com) to respond to notices of alleged copyright infringement, in compliance with the Digital Millennium Copyright Act and other applicable laws. Before serving either a Notice of Infringing Material or a Counter-Notification, you may wish to contact a lawyer to better understand your rights and obligations under the DMCA and other laws. The following notice requirements are intended to comply with luxuryrentalsmanhattan.com’s rights and obligations under the DMCA and do not constitute legal advice. We provide areas on the site through which Members may communicate information. All such submissions by Members are referred to herein as "Member Generated Content." You are responsible for Member Generated Content that you post on the Site and you hereby indemnify and hold us harmless with respect thereto. Please be aware you can be held personally liable for its accuracy and for content that is defamatory or obscene or that violates this Agreement, an obligation of confidentiality, or the rights of others. If any part of the Member Generated Content you submit is not your original work, it is your responsibility to obtain any necessary permissions before you post such Member Generated Content on the Site. By posting or submitting comments, reviews, ideas or other content to luxuryrentalsmanhattan.com, you represent and warrant that you own or otherwise have sufficient rights to the content that you provide, that the content is accurate, that it does not violate this Agreement or any applicable law, and that it will not violate the rights of any person or entity. You further grant us a non-exclusive, perpetual, irrevocable license and right to use any of your user-provided content for any purpose. This grant of rights and license applies to use of your name, photo, likeness, voice, and other personal information, if included in the user-provided content and allows newconstructionmanhattan.com to display, distribute, reproduce, modify, translate, edit, and create derivative works from the user-provided content throughout the world for any purpose and in any media (including for advertising, marketing or other commercial purposes). newconstructionmanhattan.com reserves the right to delete or edit any of your comments or content at any time, for any reason, but has no obligation to review or remove any such comments or content. We further reserve the right to disclose any information about you, including registration data, in order to comply with any applicable laws and/or requests under legal process, to operate our systems properly, to protect our property or rights, and to safeguard the interests of others. In addition to and without limitation of the foregoing, you may not submit Member Generated Content that is used for spamming purposes including, without limitation, any unsolicited commercial e-mail, links to comment spam on blogs and social networks, links to any illegal content such as counterfeit pages or so-called "phishing" pages, links to viruses, adware, spyware or other malicious code, or search engine spamming or that contains viruses or any other computer code, files or programs designed to interrupt, destroy or limit the functionality of any computer software or hardware or telecommunications equipment or that contains any request for or solicitation of any personal or private information from any person or entity, that contains any request for or solicitation of money, goods, or services for private gain, that contains advertising, promotions or marketing, or which otherwise has a commercial purpose inconsistent with the purposes of the Site. Between you and luxuryrentalsmanhattan.com, you own the copyright in any original Member Generated Content you submit on or through the Site. However, by uploading, posting, transmitting or otherwise making any Member Generated Content available on or through the Site, you are granting us and our subsidiaries, affiliates, successors and assigns, a nonexclusive, fully paid, worldwide, perpetual, irrevocable, royalty-free, transferable license (with the right to sublicense through unlimited levels of sublicensees) to use, copy, modify, distribute, publicly display and perform, publish, transmit, remove, retain, repurpose, and commercialize such Member Generated Content in any and all media or form of communication whether now existing or hereafter developed, without obtaining additional consent, without restriction, notification, or attribution, and without compensating you in any way, and to authorize others to do the same. For this reason, you should not submit any Member Generated Content that you do not wish to license to us including, without limitation, any confidential information. We may disclose and/or remove Member Generated Content without any notice to you. We reserve the right (but do not have the obligation) to monitor all Member Generated Content. We reserve the right to require that you avoid certain subjects, if doing so will help ensure compliance with applicable laws. We reserve the right (but do not assume the obligation) to remove or block any Member Generated Content at any time without any notice to you at its sole discretion. We reserve the right to disclose any Member Generated Content and the identity of the Member who submitted such Member Generated Content in response to a subpoena or whenever disclosure is appropriate to comply with the law or a court order, to prevent or investigate a possible crime or other violation of law, to protect the rights of newconstructionmanhattan.com or others, or to enforce the terms of this Agreement. In addition, we reserve the right (but do not assume the obligation) to terminate your access to and use of the Site and/or the Services, or to censor, edit or block your transmissions thereto in its sole discretion. You agree that the exercise of such discretion shall not render newconstructionmanhattan.com the owners of any Member Generated Content, and the Member who made such Member Generated Content available on or through the Site will retain ownership thereof as described above. You may report objectionable content on the site by using DMCA@luxuryrentalsmanhattan.com. We do not have any obligation to remove any Member Generated Content from the Site but we will review all such requests and will remove content that we determine should be removed, in its sole discretion, in accordance with the terms of this Agreement and in accordance with applicable law. The content, layout, design, concept, and organization of the LuxuryRentalsManhattan.com Site and Services are subject to LuxuryRentalsManhattan.com LLC's patents, copyrights, trade secrets, and other intellectual property rights. All rights are reserved. You acknowledge and agree that LuxuryRentalsManhattan.com LLC owns all right, title and interest in (i) the Services; (ii) the Site; (iii) the technology available on the Services or the Site; and (iv) all copyrights, patents, trademarks, content and other intellectual property rights therein. In case if any part of the content that appears on this Website is not owned by LuxuryRentalsManhattan.com LLC is the property and copyright of their respective owners, who may, or may not be affiliated with, connected to, or sponsored by LuxuryRentalsManhattan.com LLC. Any use of the LuxuryRentalsManhattan.com Services, Site, technology, and/or the copyrights, patents, trademarks or other intellectual property rights, other than as described in this Agreement, is not licensed and is strictly prohibited. You agree that you will obtain the express written permission from LuxuryRentalsManhattan.com LLC before you copy, upload, transmit, reproduce, distribute or in any way exploit any LuxuryRentalsManhattan.com Services, technology and/or the copyrights, patents, trademarks or the other intellectual property rights, obtained through the LuxuryRentalsManhattan.com Site. In addition, you agree not to copy the layout, design, concept and organization of the Site or Services. This Agreement does not constitute a license to use LuxuryRentalsManhattan.com LLC's trade names, service marks or any other trade insignia. Any use of our trade names, services marks or any other trade insignia shall be subject to LuxuryRentalsManhattan.com LLC prior written consent. Any trademarks not owned by LuxuryRentalsManhattan.com LLC that appear on this Website are the property of their respective owners, who may, or may not be affiliated with, connected to, or sponsored by LuxuryRentalsManhattan.com LLC. You shall not use the LuxuryRentalsManhattan.com website, in whole or in part, for any purpose that is unlawful or prohibited by these Terms and Conditions of or for any purposes other than those that are personal and non-commercial. You agree that you will not modify, copy, distribute, transmit, display, perform, reproduce, publish, license, transfer, download, post, create derivative works from, frame in another web page, use on any other web site, transfer or sell any information, software, lists of users, databases or other lists, products or services provided through or obtained from the LuxuryRentalsManhattan.com web site, including, but not limited to the text, graphics, logos, photos, and audio and visual files, without express written permission from LuxuryRentalsManhattan.com LLC. This means, among other activities, that you agree not to engage in the practices of "screen scraping," "database scraping," or any other activity with the purpose of obtaining lists of users or other information. You agree that you will not use the LuxuryRentalsManhattan.com web site in any manner that could damage, disable, overburden, or impair the LuxuryRentalsManhattan.com website or interfere with any other party's use and enjoyment of the LuxuryRentalsManhattan.com website. You may not obtain or attempt to obtain any materials or information through any means not intentionally made available or provided for through the LuxuryRentalsManhattan.com website. Unauthorized individuals attempting to access any area of this site in a prohibited manner may be subject to prosecution. The content of LuxuryRentalsManhattan.com is owned by LuxuryRentalsManhattan.com LLC and is protected by national and international laws, treaties and conventions regarding intellectual property or proprietary rights. LuxuryRentalsManhattan.com invites a User to view, use and download sample portions of content including, without limitation, text, graphics, software, pictures, data, product descriptions, and audio and video files on this website for a User's informational, non-commercial use; provided, however, that all copyright, trademark and other proprietary rights notices are left intact. Please note that such download and use of content to evaluate whether to purchase products or services from LuxuryRentalsManhattan.com or otherwise enter into a business relationship with LuxuryRentalsManhattan.com LLC shall not constitute commercial use. ALL INFORMATION ON THE WEB SITE IS PROVIDED TO USERS ON AN "AS IS" AND "AS AVAILABLE" BASIS WITHOUT WARRANTY OF ANY KIND EITHER EXPRESS OR IMPLIED, INCLUDING BUT NOT LIMITED TO THE IMPLIED WARRANTIES OF MERCHANTABILITY, FITNESS FOR A PARTICULAR PURPOSE, AND NON-INFRINGEMENT. USE OF THE WEB SITE AND THE CONTENT AVAILABLE ON THE WEB SITE IS AT THE SOLE RISK OF THE USER. 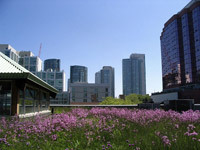 LUXURYRENTALSMANHATTAN.COM LLC DOES NOT WARRANT THAT USE OF THE WEB SITE WILL BE UNINTERRUPTED OR ERROR-FREE. AS A SERVICE TO PEOPLE WHO VISIT THE WEB SITE, LUXURYRENTALSMANHATTAN.COM PERMITS OUR REAL ESTATE AGENTS TO PUBLISH INFORMATION REGARDING THEMSELVES AND THEIR SERVICES. LUXURYRENTALSMANHATTAN.COM DOES NOT RECOMMEND OR ENDORSE ANY OF THE REAL ESTATE AGENTS, AND IS NOT RESPONSIBLE FOR THE ACCURACY OR RELIABILITY OF ANY OPINION, ADVICE, OR STATEMENT MADE BY THE REAL ESTATE AGENTS OR OTHERWISE THROUGH THE WEB SITE. IT IS THE RESPONSIBILITY OF EACH USER TO EVALUATE THE ACCURACY, COMPLETENESS, OR USEFULNESS OF ANY INFORMATION OR CONTENT AVAILABLE ON OR THROUGH THE WEB SITE. USERS SHOULD SEEK THE ASSISTANCE OF LICENSED REAL ESTATE PROFESSIONALS REGARDING THE EVALUATION OF SPECIFIC CONTENT OBTAINED ON THE WEB SITE. USERS ARE RESPONSIBLE FOR TAKING ALL PRECAUTIONS NECESSARY TO ENSURE THAT ANY CONTENT THEY MAY OBTAIN FROM THE WEB SITE IS FREE OF VIRUSES OR ANY OTHER DESTRUCTIVE PROGRAMS OR CODE. You assume all responsibility and risk for the use of this site and the Internet generally. In no event shall LuxuryRentalsManhattan.com LLC and its partners, directors, officers, employees, agents, vendors, and suppliers be liable for any direct, special, indirect, or consequential damages or any damages whatsoever; including but not limited to loss of use, data, or profits, without regard to the form of any action, including but not limited to contract, negligence, or other tort actions, arising out of or in connection with the use, copying, or display of the content resulting from access to or use of this site, or the internet generally, under contract, tort or any other cause of action or legal theory. Although LuxuryRentalsManhattan.com LLC believes the content to be accurate, complete, and current, LuxuryRentalsManhattan.com LLC makes no warranty as to the accuracy, completeness or currency of the content. It is your responsibility to verify any information before relying on it. The content of this site may include technical inaccuracies or typographical errors. From time to time, changes are made to the content herein. LuxuryRentalsManhattan.com LLC may make changes in the services described herein at any time. You agree to indemnify, defend, and hold harmless LuxuryRentalsManhattan.com LLC, its and their partners, officers, directors, employees, affiliates, agents, licensors, and suppliers from and against all losses, expenses, damages and costs, including reasonable attorneys' fees, resulting from any violation by you of these Terms. These Terms are for the benefit of LuxuryRentalsManhattan.com LLC, its and their partners, officers, directors, employees, affiliates, agents, licensors, and suppliers. Each of these individuals or entities shall have the right to assert and enforce these Terms directly against you on its or their own behalf. LuxuryRentalsManhattan.com LLC may modify this agreement or Privacy Statement at anytime in its sole discretion. Any modification is effective immediately upon either a posting on the Homepage, or by a message from LuxuryRentalsManhattan.com sent by electronic mail, or by conventional mail. If any modification to this agreement is unacceptable to you, you may immediately terminate your subscription. However, if you do not terminate your registration, or continue to use LuxuryRentalsManhattan.com, following notice of any modification to this agreement, your continued use will mean that you have accepted that modification. In the event the damages of a violation of these Terms and Conditions are difficult to determine, you agree that LuxuryRentalsManhattan.com LLC shall be entitled to $30,000 as liquidated damages for each violation of these Terms and Conditions, in addition to seek injunction relief and to the right to block your access to the Web Site. To the extent the Web site contains links to outside services and resources ("Linked Sites"), LuxuryRentalsManhattan.com LLC neither endorse nor are affiliated with the Linked Sites and is not responsible for any content that appears on the Linked Sites. The respective owners of the Linked Sites neither endorse nor are affiliated with LuxuryRentalsManhattan.com LLC.